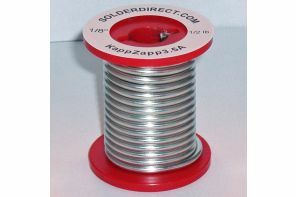 KappZapp3.5A™ Tin-Silver acid cored solder is a NSF certified Lead-free eutectic solder that provides a strong and ductile joint with a high tolerance to vibration and stress on Copper, Brass, and Stainless Steel. 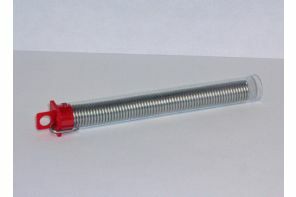 The tensile strengths may reach 14,000 psi on Copper and 25,000 psi on Stainless Steel. The low eutectic melting temperature of 430°F (221°C) prevents loss of properties and minimizes distortion on thin wires, tabs, and sheets. NSF International certifies that this product complies with NSF/ANSI Standard 372: Drinking Water System Components – Lead Content. Product also Certified to NSF/ANSI 61, Annex G and conforms with Lead content requirements for “Lead-free” plumbing as defined by California, Vermont, Maryland, and Louisiana state laws and the U.S. Safe Drinking Water Act in effect as of January 4, 2014. Weighted average lead content < 0.25%; Solder and flux lead content < 0.20%. 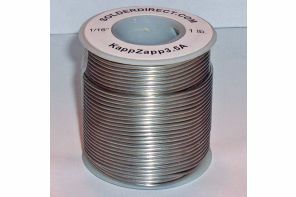 KappZapp3.5A’s low melting temperature prevents the loss of properties and minimizes distortion of thin wire, tabs, and sheets. In many instances, a stronger overall assembly exists after joining with KappZapp3.5A™ than with higher temperature Silver brazing alloys, without potential temperature damage to delicate components and parts. 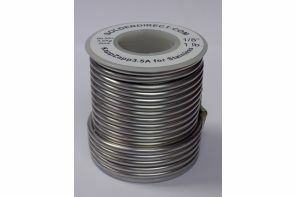 This solder melts completely at just 430°F (221°C), minimizing the heat applied to dissimilar metals and thin tubes. 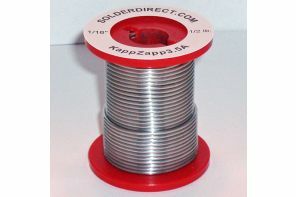 For most alloys and projects, no additional flux is required when working with KappZapp3.5A™ acid cored solder. Some highly polished Stainless Steel alloys contain more Chromium and Nickel. These parts may require extra effort to remove the oxide layer by sanding, scratching with a Stainless Steel brush or emory paper, and by the addition of liquid Comet™ Flux.